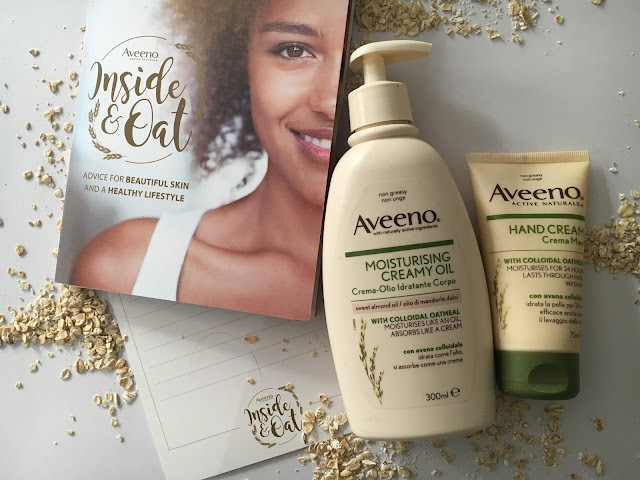 Last week I started the ‘Inside & Oat’ challenge* with Aveeno to try their holistic Lifestyle for one week. 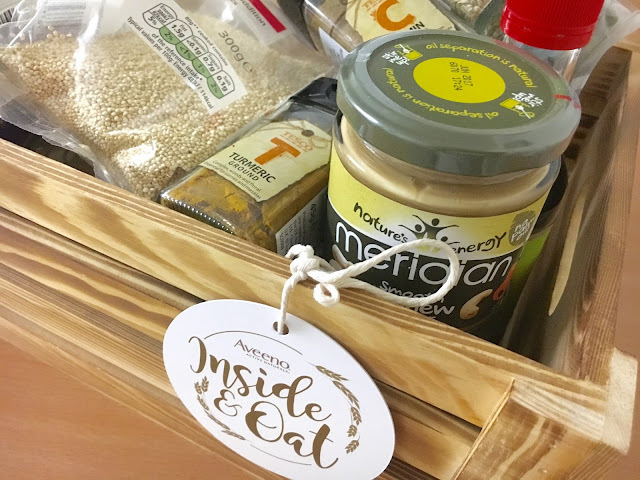 This involved swapping my normal moisturisers for Aveeno products and cooking healthy plant-based meals with Honestly Healthy author, Natasha Corrett as well as fitness. 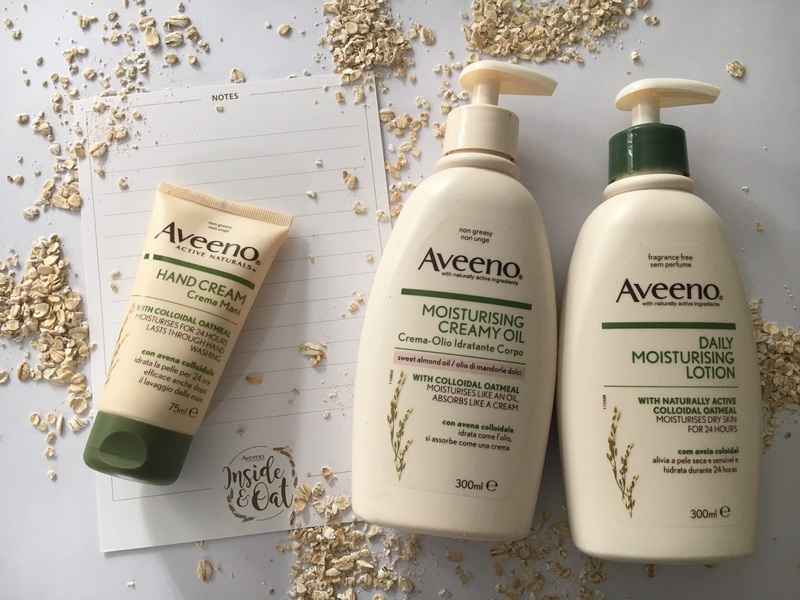 I hadn't tried any of the Aveeno products that I was testing before so I was excited to see if they would improve my skin along with the lifestyle changes. Hydrates: helps to restore and protect the skin’s natural barrier helping to prevent water loss and maintain moisture. The bottle is a huge 500ml. This lotion is thicker in consistency comparison to the daily moisturising lotion. It is suitable for dry and sensitive skin and babies from 3 months who may be prone to eczema. I found I only needed a small amount of this lotion, a little goes a long way, and it has more of a thick cream texture than a lotion. I found it hydrated my skin well and kept it feeling moisturised all day, even in the hot weather we've been having the last few days! It has a slight oat scent and although I liked this product it wasn't my favourite and I found the bottle bulky. This fragrance-free lotion promises to keep dry skin feeling moisturised for 24 hours! I like the pump action bottle as its a lot easier to use. I found I only needed to use a small amount of lotion and it sinks in nicely without feeling greasy. I enjoyed using this product, it was hydrating and very soothing especially after being outside in the sun all day. This was my Favorite product from the range I tested. I loved the thin oily yet creamy consistency, it was easy to apply and it absorbs very quickly without being greasy. It made my skin feel like silk afterwards and even after a few hours I still felt moisturised. I really enjoyed the summery almond oil scent which also lingers on the skin all day. This rich cream is very thick in texture and so only a tiny amount is needed. Once applied to the skin it absorbs immediately leaving a silky barrier almost that’s not greasy. My hands felt hydrated even after washing hands quite a number of times throughout the day. I was impressed with this product! I have noticed a great improvement in the hydration of my skin the past few days, it's feeling moisturised and looks glowing. Before beginning the challenge, with the change of weather from cold to hot and with the heating and air conditioning at work, my skin was dehydrated and I had dry patches on my legs and arms. The dry patches have cleared up. I feel the combination of introducing the Aveeno skincare, along with the diet changes and I have been drinking more water have all contributed to my improved skin health. 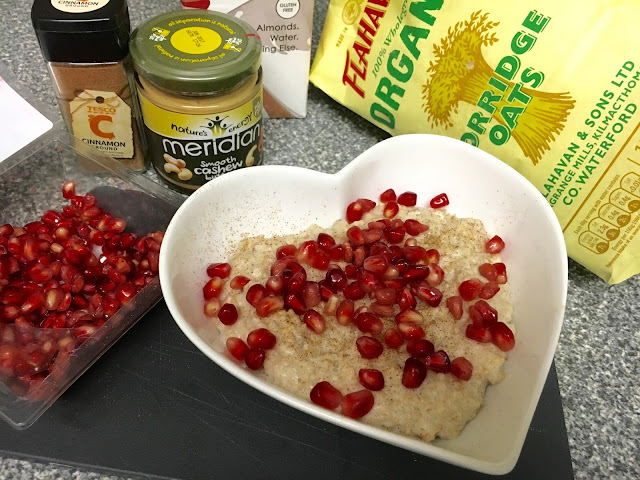 I enjoyed the healthy meals I prepared and cooked, although they did take a little longer time to prepare than usual. I found the recipes very filling and they made me feel fuller for longer. I have noticed I have been snacking less. I managed to combine some of the exercises into my day. 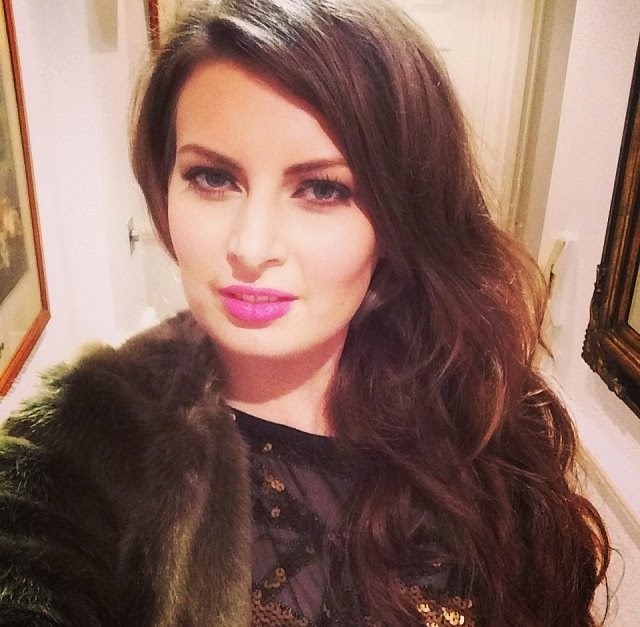 I generally feel better, healthier, have more energy, been sleeping better and my skin is feel moisturised! I agree that I feel better inside and out as a result of the #InsideAndOat challenge. I feel inspired to keep going with the new lifestyle changes.